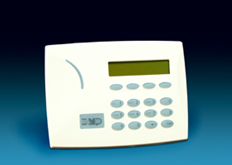 Midwest Security & Fire has been installing residential security systems for over 32 years now. Security systems provide much more than just door and window sensors. We offer security, fire detection, water and temperature detection, surveillance and more. Our new systems offer harwired and wireless sensors and no phone line is needed for our systems. Midwest Security & Fire is an authorized Security Pro Dealer and is a licensed, bonded, and insured Technology Systems Contractor. We are a local family owned business since 1978 and proudly support the communities we serve. We have been featured in several publications for our design and installation experience. In recent years, we were selected by General Electric as the award winner for the Best Integrated System and Security Pro Dealer of the Year. We are excited about these achievements and look forward to putting our experience to work for your family.